Add ingredients to a tall glass and stir to begin dissolving the sugar. Add crushed ice and muddle with a bar spoon. 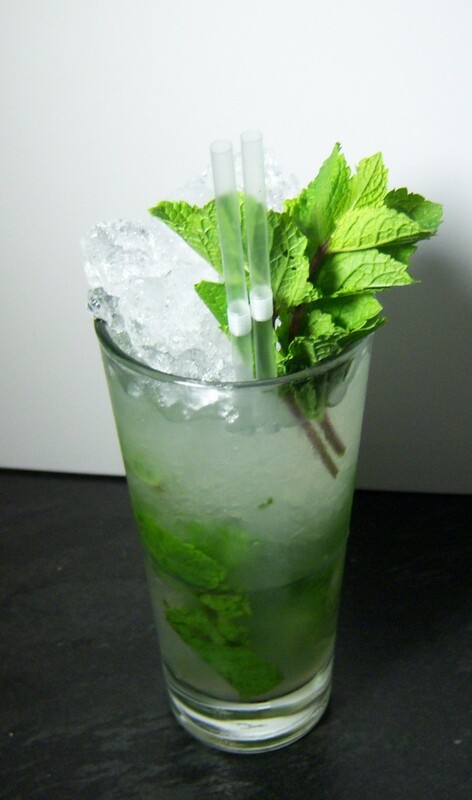 Top up with crushed ice, add 2 straws and garnish with mint. This is a slight twist on the classic Mojito drink, with the grapefruit bitters giving the drink a nice tart edge.